If you are in a new property and not familiar with the equipment in your home have us come out. We will check over the equipment, review it with you and explain a few things. Our people will be able to show you things you should be doing that you may not know about. 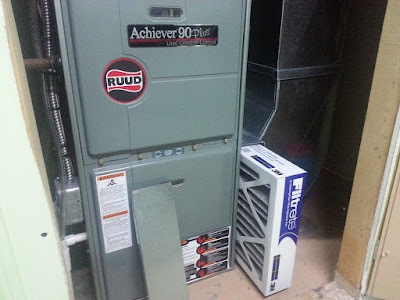 As a new home owner there is a list if the things you need to be familiar with and need to do to get the best performance from your home comfort equipment. Replacing the filter in your furnace regularly is important. If the filters are dirty the furnace will not run efficiently and your air conditioner may not run at all. We can show you how to check and change your filters. This is an easy job that most home owners can do themselves. Thermostats come in a wide range of vintages and styles. You need to know how your thermostat works, its features and limitations. In an older home it may even be beneficial to replace your thermostat. We find many people do not understand that with most thermostats, you need to switch between the heating program and the cooling program. To maximize your comfort levels, you want to ensure that your humidifier is working properly and that you know how to use it. Optimal settings differ depending on the time of year. Your humidity levels within the home have a major impact on how you feel in the home. You need to know how to shut down your air conditioner for the winter. While not difficult it is important to ensure this is done correctly to protect the unit and make sure it is functional in the spring. Prior to temperatures getting cold you need to start up the furnace to ensure that it is running properly. The first chilly day is not a fun time to find out that your furnace needs service. Optimal air conditioning and heating is dependent in part, on how your vents are set up. Most people do not understand the science behind airflow, and the experts at Salmons can review this with you. Check the condition of your water heater. The age of the unit is one indicator of potential issues. The colour and temperature of the water that comes out of your tap can also indicate the status of your heater. Make sure you know where the various shutoff valves are for the water lines inside and outside the house. If you should spring a leak every minute counts to minimize damage. People sometimes will notice that something is a little different but, will ignore it, hoping it will correct itself. Quite often equipment will put off different warnings before it fails. Addressing warning signs early is the best practice. If you are not sure, give us a call. There are signs that your sewer is beginning to block up. Here are things to watch for and actions to take to prevent a messy situation. If you notice water backing up from your floor drain while doing laundry or after a heavy rain, you need to be concerned. The water will often drain away slowly and people will think the problem is solved. The reality is that the problem did not go away. It's an indication that the line is getting partially blocked and under a heavy load it cannot handle a large amount of water. When the water has nowhere to go it will back up into your basement. When there is a heavy rain, newer homes in London, Ontario have sump pumps that the weeping tiles are connected to. If there is a backup in a newer home, it would probably show during laundry. In London, Ontario's older homes that do not have a sump pump, the weeping tile is more likely to be tied into the drain. In a heavy rain the water is trying to go down the sewer which is partially blocked, so then it backs up into the basement. At Salmon Plumbing, we suggest if you notice issues, get us out to your home. We will get the sewer line cleaned out. With cameras we can tell what is going on and advise you if there is anything further that should be done. In most cases a sewer clean-out is all that is required. It is just a matter of getting it done. Some people need to get drains cleaned regularly if they live in an older part of London. Ignoring the warning signs can lead to major problems. The damage that is caused by a backed up sewer can be very expensive, with flooring, drywall and family treasures being destroyed. Simple sewer maintenance is all it takes to prevent such an episode. We have recorded answers to several common plumbing questions and put them on our website. To listen to plumbing questions and answers, click here. Salmon Plumbing & Heating has built its' reputation on providing timely and quality service to our customers. A large part of our business is repairs. We don't have this work at the start of the day. Customers call in and we try our best to get them serviced on the same day. We all have an experience where we've sat at home for an entire day waiting for a serviceman to arrive. We don't run our business this way. Scheduling in our business can be a bit of a juggling act, because we don't know for certain how long our men will be at each call. The only service appointment we can make with certainty is the first one in the morning. After that, we give people a time range to expect our arrival. We do the best we can to meet our schedule. If we are running late, we'll call you with a new E.T.A. We understand that customers have to work during the day. If you plan on coming home to meet our serviceman, we'll call you at your work and let you know he's on his way. Everyday Londoners have a choice who they will call for their plumbing and heating needs. We want to make sure we do quality work and meet time commitments so customers will choose us again the next time the need arises. We offer 24-hour emergency service outside of our regular office hours. We have our own staff answering the phones after hours. Emergency service is more expensive, so if possible we'll try to give you a short term solution on the phone so we can come when we are charging our standard rates. If it's an emergency, we have licensed servicemen ready to go out at any time. Listen to our answers to many common plumbing questions. Many Londoner’s rely on a sump pump to keep their basement dry, particularly in the Spring. 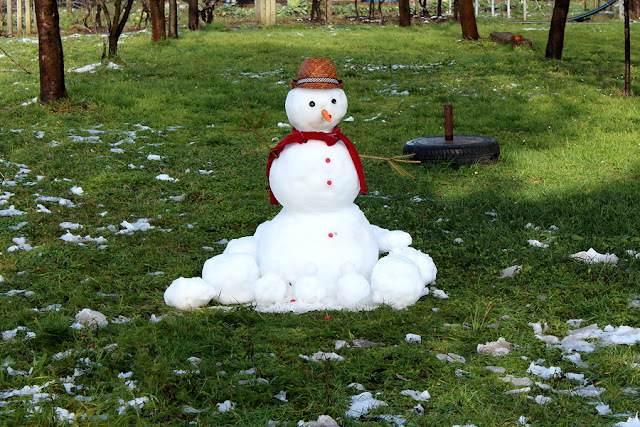 Rainy weather and quickly melting snow can result in your sump pump running regularly. A sump pump failure can lead to a flooded basement and lots of costly damage. Sump pumps are mechanical devices and eventually will fail. Your sump pump will also not work through a power failure, which often happens in stormy weather. We recommend that you have a battery back-up sump pump that will kick in should your pump fail or during power outages. Battery back-up pumps are plugged in like your main sump pump. They use a trickle charger to keep the battery fully charged. Battery back-up sumps pumps are also equipped with an alarm. It’s important for you to know that your back-up pump is running, so you have time to attend to your main pump. It’s important that your test run your back-up pump 3 or 4 times every year, cycling the pump 8 to 10 times. Batteries last longer if they are fully discharged and then charged up again. If you don’t do this, the battery will only last for a couple of years and may not be functional when you need it. Batteries normally last 5 to 7 years. We would recommend that you change the battery every 5 years. A battery back-up pump is often less than the deductible on your home insurance policy. If it is only needed once, it will pay for itself. We often talk with new homeowners that may not be sure if they even have a sump pump or how it works. Give us a call, we will service your pump and give you instructions on using and caring for your sump pump. For the cost of a service call you’ll get piece of mind and information that every homeowner needs. Learn more about sump pumps. Even with regular care, tank water heaters tend to require replacement at 12-15 years of age. Look for the date of manufacture on the tank. It will usually be on a sticker with other information about the tank. If you cannot find a date, normally with the manufacturer’s name and a serial number, Salmon Plumbing can help you determine the tank’s age. Water heater life is highly dependent on usage. Every time the tank heats up, there is expansion and contraction that will eventually cause the tank to fail. A family of five can expect to replace their water heater sooner than a single person household. Water quality, care, unit design and even the location in your home can impact the life of the unit. There are many indicators that signal it is time for a replacement. Your hot water temperature is erratic. Hot water runs out quicker than normal. Signs of leaking around the base of the tank, indicative of internal cracking or corrosion. Banging, rumbling sounds. Calcium build up forms on the bottom of the tank over time, creating a hard crust that creates noise during use. Coloured hot water, emerging from any faucet. If this occurs only when you run hot water, it confirms the rust is inside the tank. Once corrosion begins inside the tank there is no stopping it. Your water is not as hot as it used to be. Sediment buildup reducing the effectiveness of heating coils or burners. Actual age of the unit. If the unit is over 12 years old, it is time to consider replacing it. You want to do this before you have a catastrophic fail. Unable to drain water from the tank via the drain valve. Sediment builds up over time inside the tank. If you are unable to drain the tank it indicates that the sediment has built up enough to plug the drain. Since the corrosion starts from the inside, out of sight, a complete failure can occur without warning. If the unit is in a finished basement this can lead to substantial property damage. Installing a catchment tray under the tank can provide a warning of imminent leaks and may help to minimize the damage. Catchment trays are of limited value if they cannot be plumbed directly to a floor drain. Replacing your water heater provides several benefits. You can choose to increase or decrease your tank capacity depending on the changing needs of your family. A new tank will usually run more efficiently. If you need unlimited hot water without delays, you may want to even consider a tankless water heater. If your water heater is rented, you may want to think about buying. 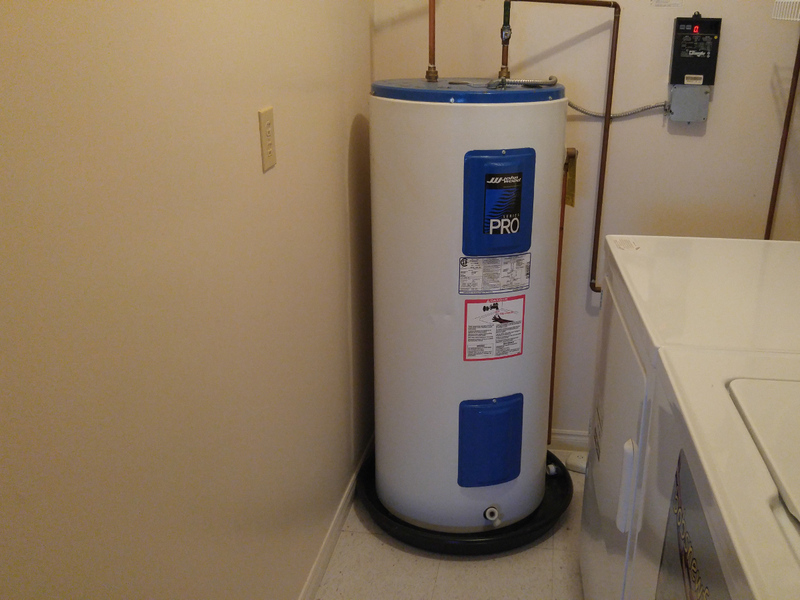 Owning your own water heater will save you money over time versus renting the unit. Salmon Plumbing will install your new gas or electric water heater and dispose of your old unit. We have the experts to select the correct sized tank to meet your family’s needs. Low flush toilets are designed to reduce water consumption in your home. Toilets that are older than 20 years typically use 13 liters or more of water to flush. The first generation of low flush toilets reduced that usage down to 6 liters per flush. Some low flush toilets only require 4.8 liters per flush. They were designed to meet tough standards in California to reduce water consumption. Manufacturers have also developed dual flush toilets. When you are getting rid of solids, the toilet will use about 6 liters per flush, otherwise it uses 3.8 liters per flush. 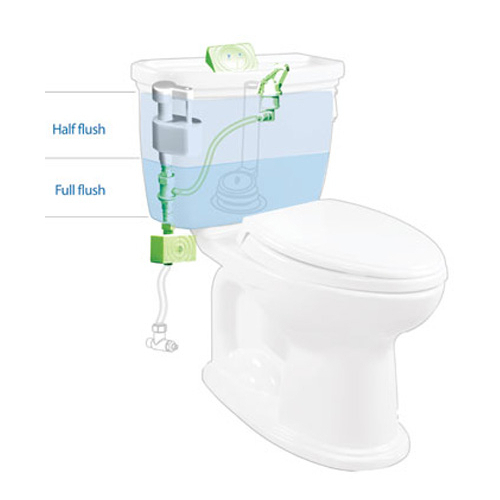 Dual flush toilets will reduce your water usage even further than a single flush model. Not all low flush toilets work well. There are a number of toilet manufacturers and each one makes numerous models. We’ve had several customers that have purchased a low flush toilet at a retail store. They got it home and found out it didn’t work that well. They go on to assume that all low flush toilets are no good. At Salmon Plumbing, we’ve tested several models and have selected several that work well at a reasonable price. They also have the features people like. We provide full service delivery and installation and we’ll get rid of your old toilet for you as well. If you have a problem with your new toilet, we guarantee our installation on top of the manufacturer’s warranty! Salmon Plumbing's toilet warranty is in your home. If you purchase a toilet through a retailer you may need to return it to them for refund or replacement. This is inconvenient and costly if you are not able to remove and install the toilet yourself. To see our selection of toilets, click here. For answers to other common plumbing questions, click here. Make sure the discharge line from your sump pump is clear (not frozen) and the water is running away from the house. Make sure that water is not sitting next to your foundation, blocked from draining away by piles of ice and snow. Make sure your sump pump is operating. A battery backup sump pump is a great idea to protect your basement. If you have one, this is a good time to let it run and allow the battery to run down and recharge. If you don't have one, click here to read why they are a good idea. If you don’t know what we are talking about, not sure whether or not you have a sump pump, or just not handy, call us to come out and show you what you need to check. The cost of a service call is good insurance. It’s far cheaper than dealing with a flooded basement.